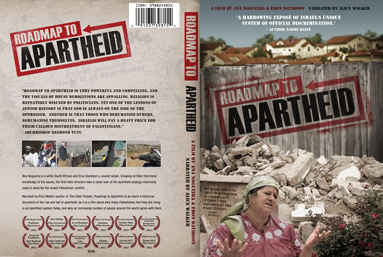 Here is a sample of a recent custom project we completed for the internationally acclaimed documentary feature film, titled “Roadmap to Apartheid“. The long-awaited Pop Star Pro Motion Menu Kit has officially been released! With an overwhelming number of requests for a theme that could be used for Dance Performances, Fashion Shows, Bar/Bat Mitzvahs, Sweet Sixteens, Quinceañeras, and School Performances, we set out to design a menu that would work great for all of those. As challenging as that may seem with such a diverse group of themes, our highly skilled group of designers have created the perfect match. Pop Star is a modern pop culture themed template with incredible 3D camera animations around the stage. The particles and stars can easily be toggled on/off with a single click, providing extremely efficient customization of this menu. This motion menu template has several color controls for the various elements that make it very fun to play around with a different look each time you use it. Take a look at the Pop Star product page for some samples of alternate color combinations we came up with. Don’t forget, this Pro Motion Menu Kit was released simultaneously with a matching Zip Kit for when you need a super-fast solution for authoring a project, or if your clients didn’t want to pay any premium you were charging them for the more impressive Pro Motion Menu Kit with incredible transitions and sound effects. You don’t want to miss the preview video on this one. Go check it out now! Zip Kit 06 is now available for purchase! This our our first non-wedding themed Zip Kit and first Zip Kit to be released simultaneously with a matching Pro Motion Menu Kit. What’s great about this template is the variety of videos it can be used with. It has a modern pop culture feel to it, reminiscent of American Idol, So You Think You Can Dance, etc., which will make your subject be featured like a star! It can be used for Dance Recitals, Musicals, School Performances, Fashion Shows, Birthdays, Sweet Sixteens, Quinceañeras, and so many more.